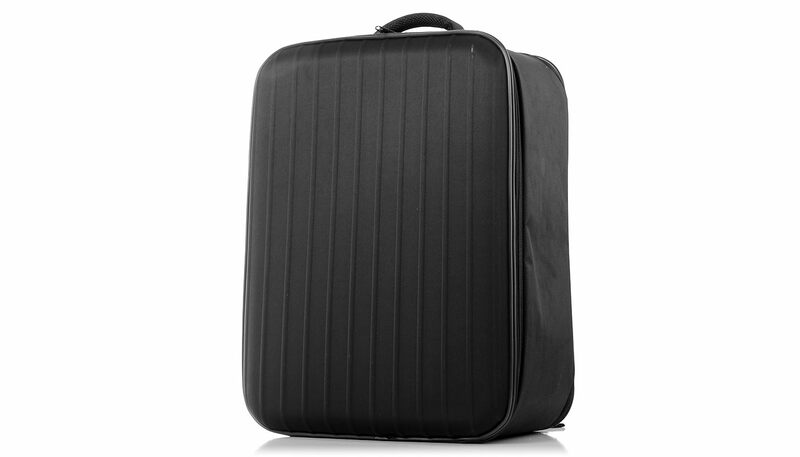 This carrier combines the rigidity of a case and the convenience of a backpack. 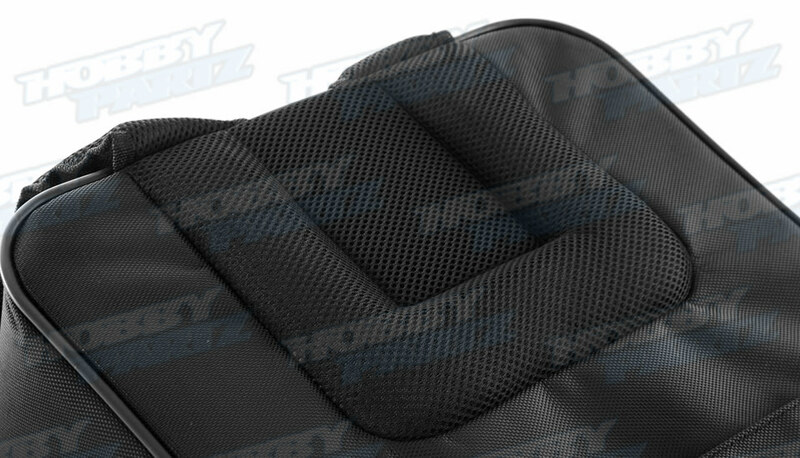 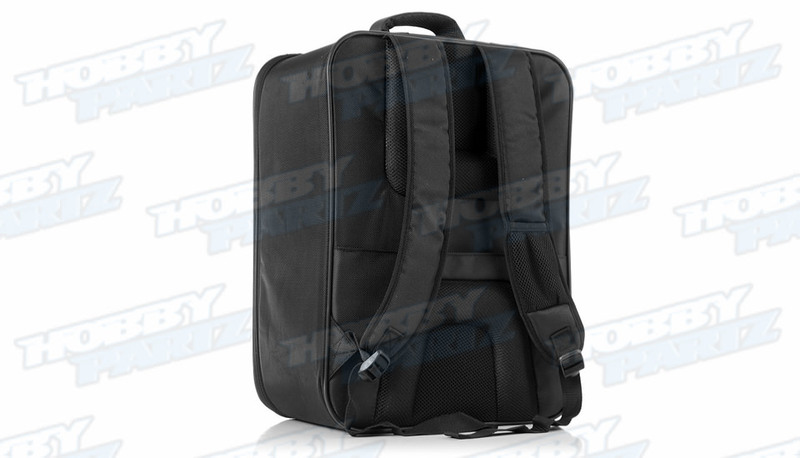 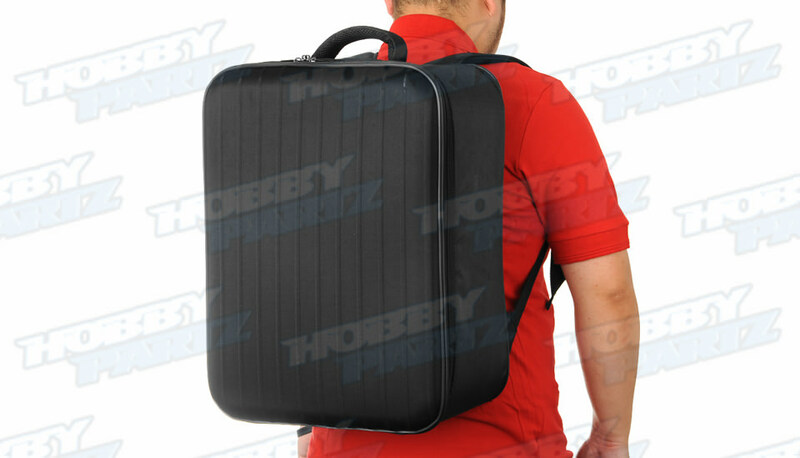 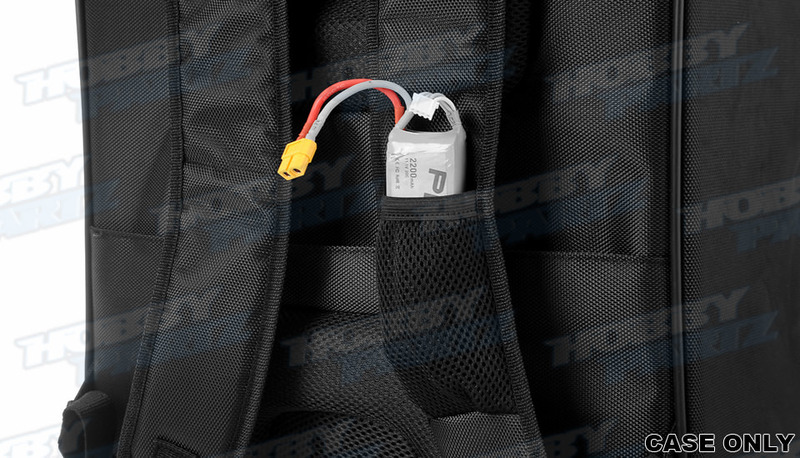 Featuring a precision cut custom foam interior and a easy to carry backpack type durable nylon and hard plastic outer shell, the Backpack Case from HobbyPartz.com provides a handy solution for storing and transporting your machine and its accessories. 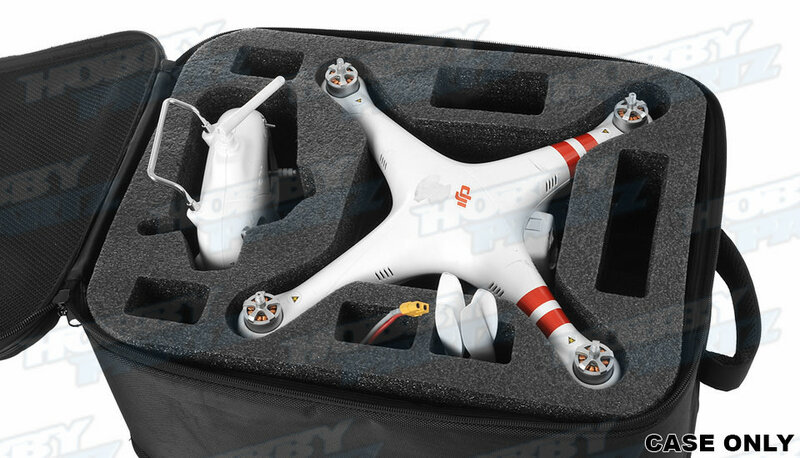 In addition to the aircraft and built-in camera, the case will hold transmitter, flight batteries, charger, monitors, and miscellaneous items such as spare props, cables, and other items. 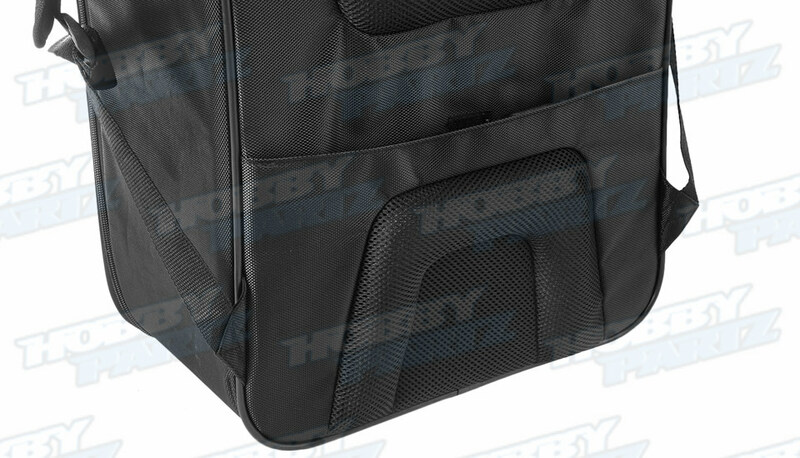 The outer shell of the case pack consists of a velcro side pocket and elastic pocket while the front features a zippered pocket for other accessories.